Dr. Vijay Shanker Choubey is an Indian classical style violin player. He has dedicated his life to traditional music of Varanasi, rich in its history yet struggling +today to find its place in the modern world. The younger generation is drifting towards the popular modern culture, and it is extremely hard for musicians like Vijay Ji to survive out of art. 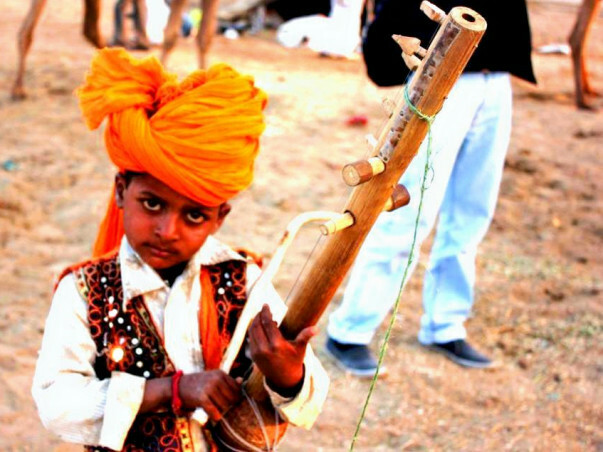 This is not the story of Vijay Ji alone, a report to UNESCO mentions that more than 60% of the folk music is either extinct or dying quickly and soon will become parts of our forgotten history. Espirito-Kashi is about protecting these rich traditions and creating a place for them in the modern world. We are an avant-garde media and culture society that promotes the documentation, creation and appreciation of content that bring into light various art forms of a community. We are currently creating a video/documentary series on folk music in Varanasi and nearby villages in collaboration with local folk musicians. Our aim is to preserve and promote the dying folk music while maintaining its essence. alumnus of TISS & NIT Trichy, worked with iRunway, expertise in intellectual property. Rajat Nayyaris - a Young India Fellow, Batch of 2013-14. Alumnus of Whitireia Polytechnic, New Zealand. Worked with Sertaobras, an NGO advocating for the rights of artisan cheese-makers in Brazil. As you would have noticed, 'Vivah Samskara' has gained a lot of traction, especially amongst the Bhojpuri diaspora who felt a strong connection with their roots after watching the film. But one dream that remains unaccomplished is dissemination of the film in the village from where it originated. Now, we've a chance to realise that dream! Our next film 'Janeu - Bhojpuri Initiation Rites & Folk Songs' is ready for post-production and we're planning to conduct film screenings in the community. For that, we need your help. By contributing a little, you not only help us complete the cycle but also become a co-producer with due credits in the film. Please contribute here and spread the word! Vivah Samskara has received over 10 film screenings and crossed 1,50,000 views online.